Buy an Acre of the Moon? Or Buy an Acre of Rainforest? Type “buy an acre” into any internet search engine, and you’ll find lists of sites eager to sell you land anywhere on or off the earth. One such site is Moonproperty.net who sell parcels of land on the moon, on behalf of the “luna republic”. Luckily, being a resident on the moon is not a pre-requisite to owning a slice of luna land. Moonproperty.net claim that their whole venture is quite legal, and owners can look forward to planning luna holiday homes and golf courses happily in the knowledge that their luna assets are quite safe. Why anyone would want to own a bit of lifeless, dusty rock is another matter. With the only other life found in the solar system being an unexciting (possible) bacteria on Mars, the World Land Trust suggests that saving an acre of the planet you actually live on makes a far better gift, and so does the BBC’s Heaven and Earth programme (see previous news story). …when you can save an acre of REAL tropical forest? Tropical rainforests are positively teeming with weird and exotic life forms, some of which are far stranger than the beasts featured on Science Fiction films, and all of which are far more real. 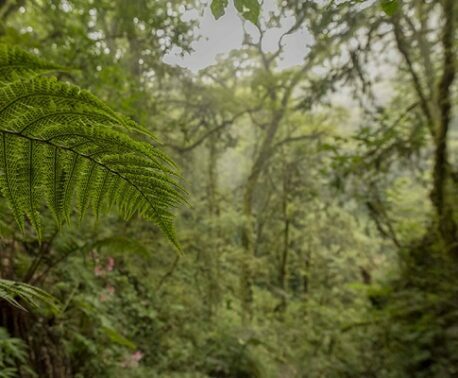 It has been recently estimated that rainforests contain over half of all the species on earth, and that somewhere in the rainforest there exists the cures for many of the diseases that plague mankind. Rainforests are home to people too, whose very way of life is threatened by the destruction of their habitat. So perhaps before buying someone a rock for Christmas, you should consider the value of saving an acre of Rainforest. 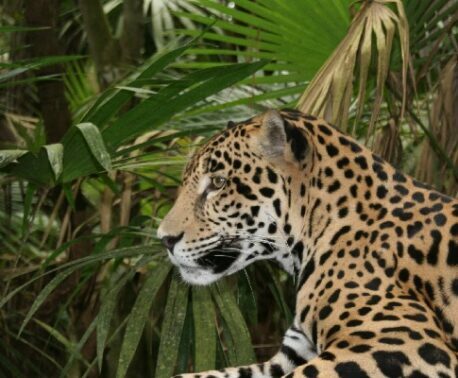 Make a donation to protects an acre of real Rainforest.